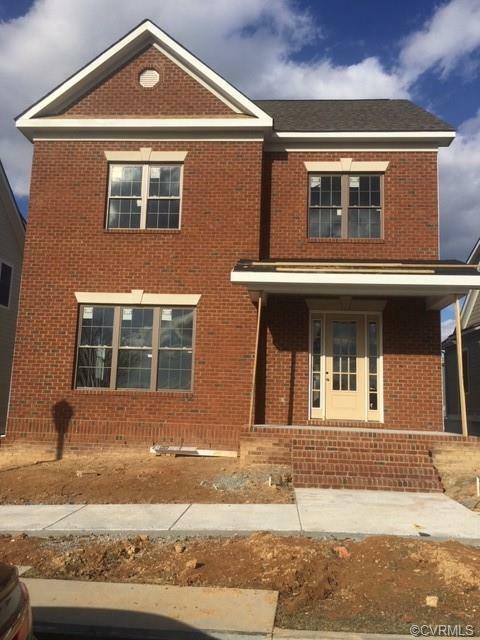 12228 Graham Meadows Drive, Henrico, VA 23233 (#1900996) :: Abbitt Realty Co.
Move in ready by late Spring/ early Summer. Actively under construction, this home gives you the ability to personalize and choose your own selections. Frist floor living and low maintenance at its best! The Bromley floor-plan by Eagle Construction of VA is our first Single Family 1st floor master bedroom offering in Greengate. Enjoy 3 additional bedrooms and 3 baths. The kitchen has beautiful 42 cabinets, gas cooking with stainless steel appliances, granite counter-tops, 10 ceilings, with beautiful hardwood floors throughout the family room, kitchen, and powder room. The inviting family room overlooks the extended deck that spans the full length of the house which is perfect for entertaining. While keeping warm with the fireplace on the covered terrace, one can enjoy the most beautiful sunsets in the West End. This home has a 3- car garage and an Elevator option is available. The Villas are steps away from Starbucks, Mellow Mushroom, The Daily, and Red Salt Chophouse to name just a few of our community restaurants!